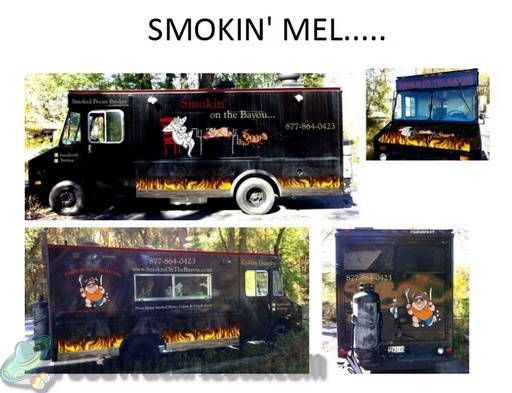 I had a lunch in hand when I walked past Smokin', but the sweet aroma from their truck made me turn around and give them a try. The delicious smoked flavor of their tender brisket was perfect! The sauce was a typical red (options guys,) but went nicely with the brisket. I haven't tried their fried corn or gumbo yet, but bet your assets I will if they keep coming around here. 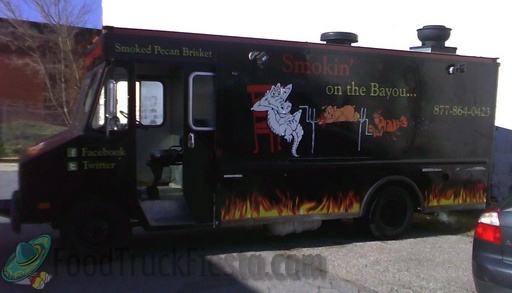 Smokin’ on the Bayou is an all American True Louisiana mobile catering company. Always movin’ & smokin’. 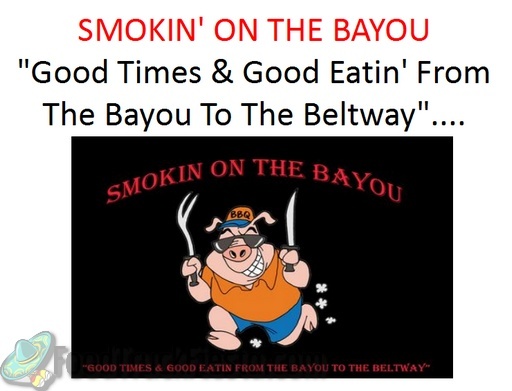 Their menu consists of : Colfax Gumbo/Rice & Moss Weed Gumbo, Smoked Pecan Brisket, Smoked Bayou Sausages, Smoked Babyback & Smoked Chicken. 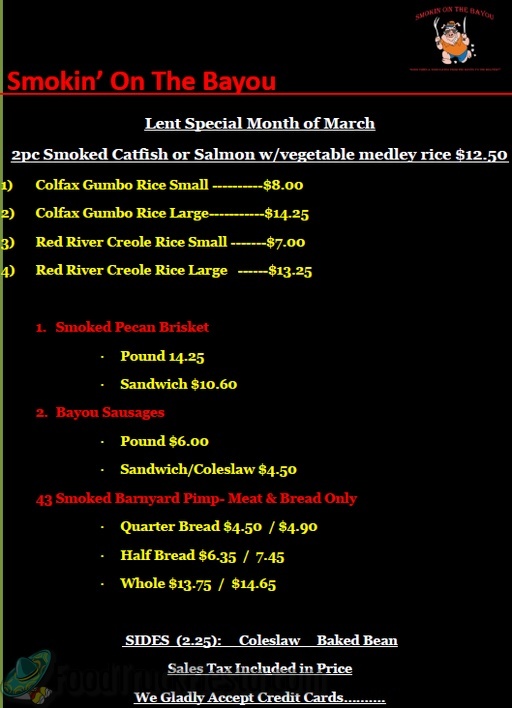 The menu will rotate according to the season and the variety of Bayou Meals.